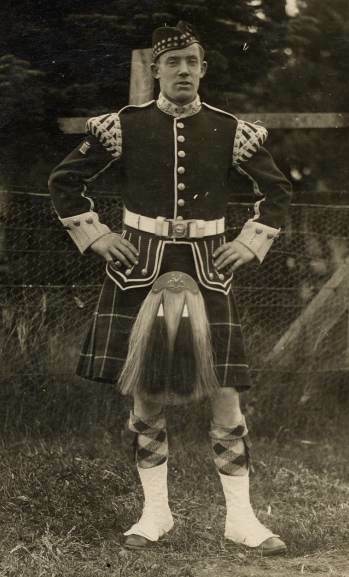 Gaffer's name was Alexander Mackenzie, son of Colin and Margaret Mackenzie. After leaving school he worked with his father in the family business, Colin Mackenzie, Mason Contractors, joined the RAF in the second world war and then became Clerk of Works for the Water Board until he retired. He was a stalwart of the Cromarty drame club and organised many concerts performed in the Victoria Hall. Helen Hogg and Babs Mackay will have memories of these days. This photo was taken when Uncle Alistair was in the Cromarty Pipe Band, he was the drummer. Thanks Jane - it's just the best photo, I love it. I'm sorry he is not one of our Mackenzie's. His name was Alastair MacKenzie (Gaffer). Not Alexander. I used to stay with him and my aunt Margaret in the summer holidays. My great granny also stayed with them.